Hudson left the corporate world to purchase a franchise and manage a small business for eight years. She then turned her attention to the mission and activities of the Urban League. Hudson initially served the Madison County (IL) Urban League’s Board of Directors with responsibility for fund management. 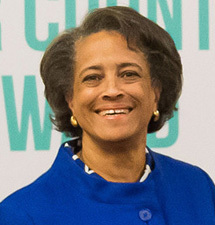 Never one to fear responsibility and major initiatives, Hudson later stepped down from the Board and became the Urban League’s President and CEO. Hudson’s leadership over a decade resulted in numerous successful accomplishments and greater financial stability of the organization. During this tenure she earned certification in Fund Raising Management (CFRM) from Indiana University/Purdue University in Indianapolis, IN. Hudson’s passion has always been and continues to be in the area of community engagement. Inspired by her parents who taught her that education is the key to improving one’s situation in life, she has advocated for quality public education with the goal of leveraging the future for children, especially those who live in urban environments. Hudson served as an elected member of the Edwardsville (IL) School Board for sixteen years. She was appointed by the Illinois State Board of Education as part of a three person panel with specific responsibility for financial oversight of the East St. Louis public school system. The panel served for ten years. Hudson’s multi-faceted commitments also include her church, where she serves on the policy making administrative board. She also willingly gives her time and expertise to other local organizations where she serves on the boards of the Alton Memorial Hospital Foundation, the Affordable Housing Development Corporation and the Alton Women’s Home Association (a foundation providing grants to local non-profits). She joined the NDC Board of Directors in 2007 and currently acts as the Board’s Chairperson. Hudson was awarded a B.A Degree in Liberal Arts and History from Vassar College in Poughkeepsie, NY. While at Vassar, she became intrigued with human rights and through research gained knowledge that guided her realization that social strata fall along color lines in most nations in our Western Hemisphere. It was at that time Hudson’s advocacy in the area of human rights, especially as these rights are affected by gender and racial bias, become a focus of her life and work. Hudson is the married mother of two adult daughters and grandmother of four grandsons. Following her retirement from the Urban League, she has pursued her creative side. Hudson enjoys creating art, special interests include pastels and water colors, and is involved with a group of local women artists. She is also taking quilting classes and enjoys attending quilt shows across the country where she learns new techniques to improve her skills. Many of her quilts find their way to those in need. For example, Hudson organized a group of quilters at her church who made quilts for families served by mission trips in Appalachia. Seth B. Bongartz has been the Executive Director of the Lincoln Family Home at Hildene in Manchester, VT since 2002. Robert Todd Lincoln, the only child to survive to adulthood, of President Abraham Lincoln and his wife Mary Todd Lincoln, became chairman of the Pullman Company, the largest manufacturing corporation at the turn of the 20th Century. He built his Georgian Revival mansion in 1905 in Manchester, and it became home to the only Lincoln descendants until 1975. Bongartz has guided Hildene’s mission to put values into action. Prior to assuming his leadership at Hildene, Bongartz has a varied career as a member of the Vermont House of Representatives and the Vermont State Senate. He previously served as a Director of the Southern Vermont office of the Vermont Natural Resources Council, as a partner in a law firm, and as a Trustee and Chair of BlueCross/Blue Shield of Vermont. 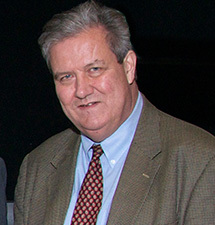 Bongartz’ professional affiliations and memberships include Founding Trustee and Chair of the Manchester Community Land Trust, INC., Trustee and Chair of the Burr and Burton Academy and member of the Governor’s Commission on Education Funding and the Vermont Commission on Financing and Delivery of Affordable Housing and Conservation. 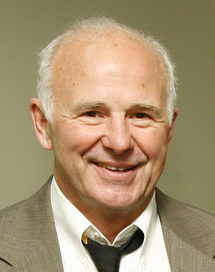 Bongartz has been a member of the NDC Board of Directors since 2007. He feels a deep connection to the mission of the non-profit community and economic development organization through his lifelong interest in community building. Seth is a graduate of Skidmore College in Saratoga Springs, NY where he was awarded a B.A degree in 1977 and was a member of the Academy Honors Society. Bongartz completed law school at Case Western Reserve School of Law in Cleveland, OH, and received his Juris Doctor in 1987. While studying at Case Western, he placed first in the Moot Court Competition. He was admitted to the Vermont Bar in 1988. When he finds time, Bongartz enjoys history, public policy, education, land conservation, historic preservation and agriculture. He and his wife, who had one adult child, keep a combination of sheep, goats and llamas on their 20 acres of land in Manchester. Bongartz is an advanced diver who had dived several wrecks on Lake Champlain while his wife remains safely on shore. Gary Perlow currently serves as the Founder and President of the Nikki Perlow Foundation, which supports young adults in conquering the disease of drug and alcohol addiction, to help them succeed in long-term recovery. Before making a full time commitment to the Nikki Perlow Foundation, for over 32 years, he served as a Co-Regional Managing Partner of the Mid-Atlantic Region at CohnReznick, LLP. 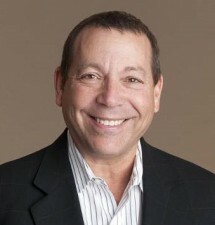 Perlow was a Co-Managing Principal of the Baltimore Office and was a member of National Real Estate and Tax Credit Services Practice at Reznick Group, P.C. He also led the Reznick Group’s National New Market Tax Credit (NMTC) Practice Group. Perlow has experience working with federal, state and local agencies in all areas of real estate, community and economic development and finance, including various tax credit programs, tax exempt bonds, and credit enhancement programs. He is recognized nationwide as an industry leader for the NMTC program. In the program’s early years, he has acted as a sounding board to the CDFI Fund in the development of the NMTC program and assisted the New Markets Tax Credit Coalition with the design of various prototype investment models utilizing the credit for both training and investor presentations. Perlow joined the NDC Board of Directors in 2016. He was awarded a Bachelor’s of Science in Accounting from University of Maryland and Postgraduate Business Degree from University of Baltimore. Perlow resides in Baltimore, Maryland and Fort Lauderdale, Florida. 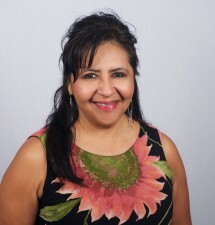 Tomasita Duran currently serves as the Executive Director of The Ohkay Owingeh Housing Authority (OOHA), a designation she has held for over twenty years. OOHA was established in 1987 to provide safe, decent and affordable housing to tribal members living in the Ohkay Owingeh Pueblo. Under Duran’s leadership the Tribe has raised over $31 Million to strengthen the Ohkay Owingeh Community and Culture, through the creation and preservation of affordable housing. Additionally, Duran represents OOHA in all matters concerning public relations, including meetings with Tribal Council Officials, Federal Agencies and Funding Institutions. Duran heads the HUD sponsored Mutual Help Homeownership Opportunity Program for the Ohkay Owingeh Tribe, which assists low-income Indian families in purchasing a home. Duran joined the NDC Board of Directors in 2016. She was awarded a Bachelors of Science in Business Management from the University of Pheonix in 2002 and an Associate’s Degree of Applied Science from Northern New Mexico Community College. Duran also serves on the Board of Directors for Tsay Corporation, Cha Piyeh, Inc. Board of Directors and SNCC Board of Directors. Prior to joining NDC as a Board Member, John was the Central Team leader for NDC and worked for the company for 22 years. He provided technical assistance and development services to a number of communities ranging from Jackson, MS and Memphis, TN to Madison, WI, and from Cleveland, OH to the states of Missouri, Indiana and North Carolina. John also taught NDC’s EDFP and HDFP courses and other targeted training. Prior to coming to NDC John worked for the State of NC for 10 years, managing the CDBG program for 7 years and the HOME program for 2 years. In this capacity John became very familiar with the URA, 104d and other federal requirements tied to both the CDBG and HOME programs.